Recently I decided to watch the episode Two's a Crowd on DVD from Optimum and version from A&E . 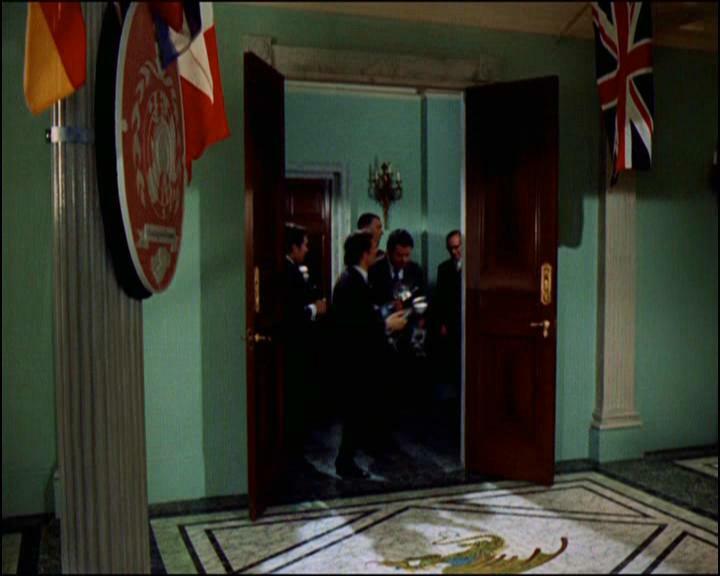 Turns, in the A&E edition is cut the scene of a duration about 2 seconds: ambassador Brodney heads for the door of the Embassy (after words of Vogel: "If he does Brodney, you will be coming with us", before the "bar" scene). Unfortunately I have no other editions of this episode. I will happy to hear, if someone would have checked it on some other video releases for this nuance. Sorry, I only have the Optimum these days (and only had the A&E otherwise). Never had the Contender and all the VHS are long gone. 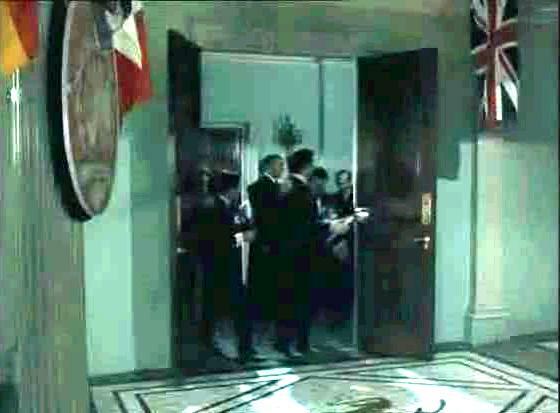 2 seconds in episode Two's a crowd (A&E edition) - footage: ambassador Brodney heads for the door of the Embassy. 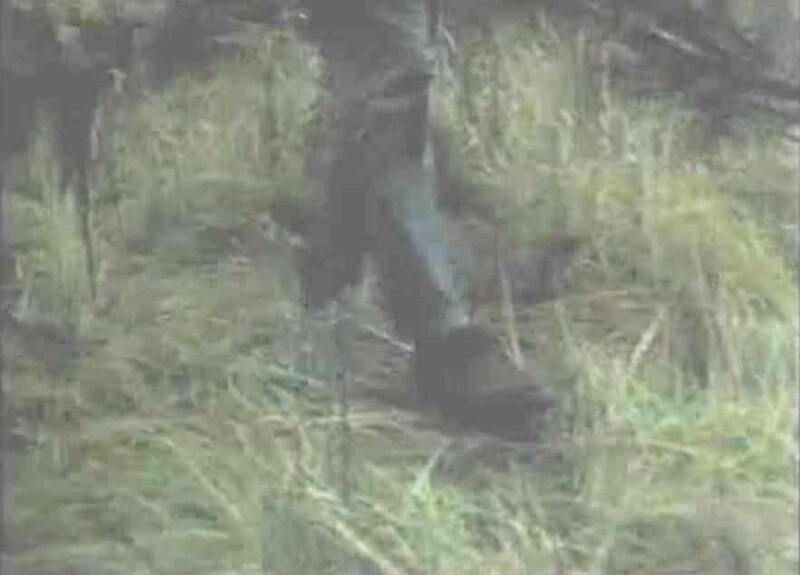 Vogel says "If he does Brodney, you will be coming with us"
On my 'Parallel Lines' collection VHS (KLT20016) the scene is there (Brodny turns to his right and takes a couple of steps towards the door). Is version of episode as 49m 34s on 'Parallel Lines'? It seems the full version is 49m 47s. In any case, it makes a good feeling, now very likely that this cut was only in american print, like in episode The Town of No Return. I just measured it, fast forwards and slower backwards, at 49m 46s (so I'm pleased that my video looks like it has the full version ). Many thanks, Rhonda. I am sincerely glad for your edition. I have studied the length of time for Avengers episodes on website BBFC. Well, it can be assumed that the first issue of the episode was cut, and then they re-released it, though there is nothing about it mentioned in Avengerland ever. So, at the moment will stick with the idea that the cut was only in the American edition. Recently I decided to do the comparisions of DVD Optimum, French DVD-kiosk, and print from A&E for the episode Quick-Quick Slow Death. Turns, in the Optimum edition (unlike A&E version and French kiosk) is little cut, bit of the footage a duration half second: Emma Peel go out the door of the dance hall, when she directs to the workshop. Oh, it says that the British and German Blu Ray version probably has this cut, too. Please, if anyone have it that to check, I will be glad for your comments. Today I did the comparisions of DVD Optimum, French DVD-kiosk, and print from A&E for the episode The Danger Makers. 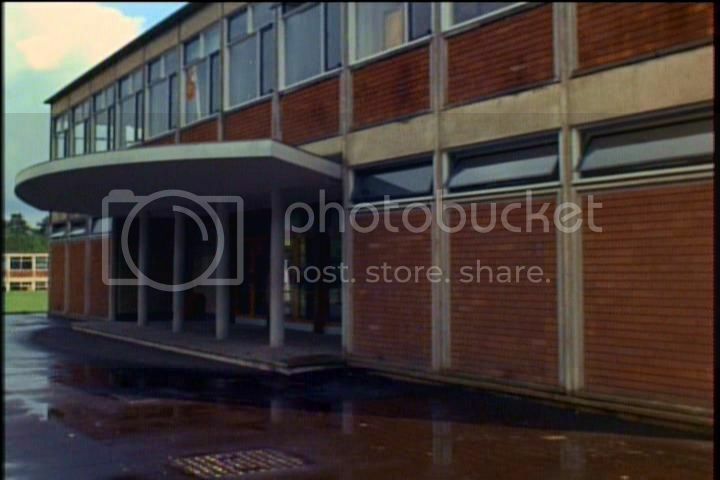 Optimum edition (unlike A&E version and French kiosk) have little cut, bit of the footage a duration two and a half seconds: Emma Peel writes something in a notebook and she reaches her hand to one of the books of cabinet, when Major Robertson comes into his office. Possibly that the British and German Blu Ray version has this cut, too. I checked the Aussie edition of The Danger Makers as you asked. 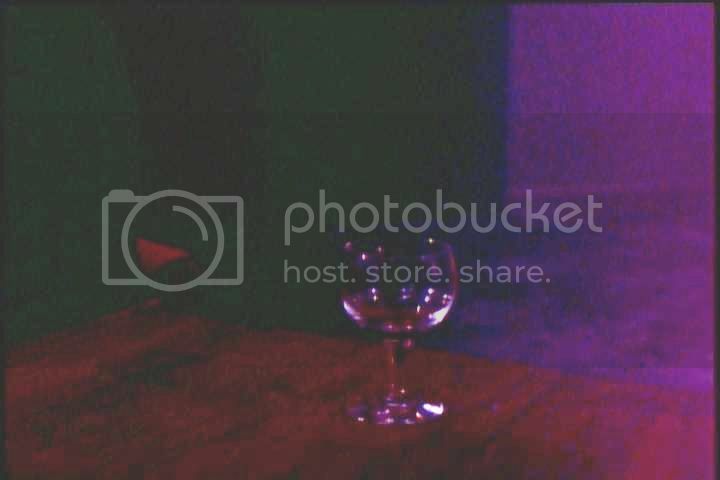 The shot is identical to the Optimum Edition, but happens at 30:30. Aha, great thanks, Brendan, this suggests that the most likely all versions of episodes 4 season on Aussie editions are identical to DVD Optimum. Certainly not the fact, but on moment I will stick to this hypothesis. Right now I started to compare of prints DVD Optimum, French DVD-kiosk, A&E and Russian from TV for the episode The Bird Who Knew Too Much. And Oops, immediately discovered a defect on Optimum DVD. While, storyline after open titles on the Optimum edition is goes in a black screen (with music), other mentioned prints are in good trim! 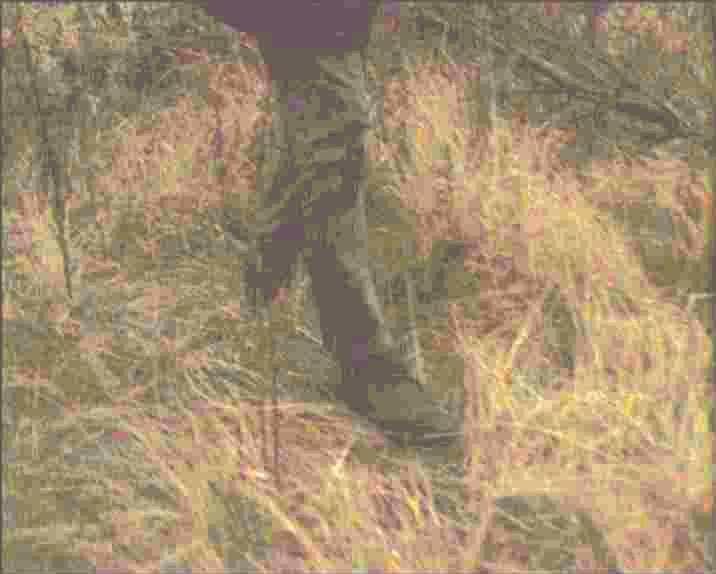 We can see that at Optimum the image appears on screen when Peter Brace completely stepped with his foot to the ground, when on other prints the image appears when it only part comes. Go back to the comparison and will soon make a report - I hope there will be news about ID some stunt persons. I finishing the comparing of prints DVD Optimum, French DVD-kiosk, A&E and Russian from TV for the episode The Bird Who Knew Too Much. As usual, I will not talk about film defects on the screen (noises, hairs, lines etc) - Optimum DVD version does a good restoration in this area - move on to the topic "editing", which is interesting in this episode. 1. 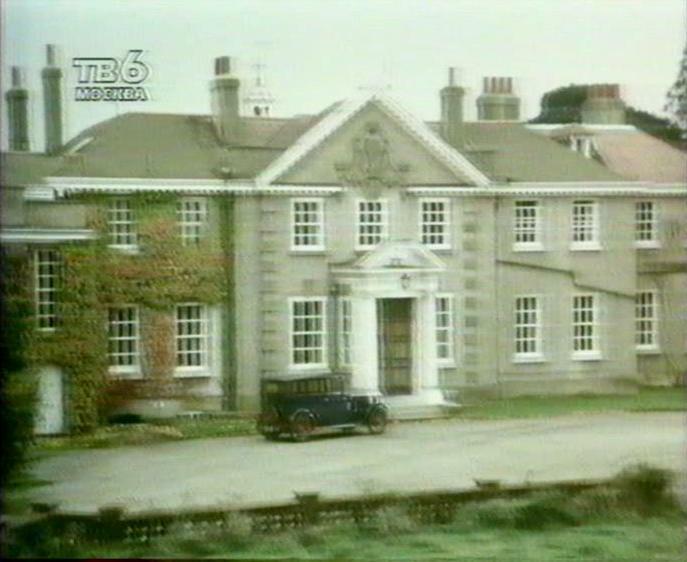 It's nice to notice on Optimum DVD, that footage from scene "Mrs, Peel, we're needed", which, I think, mistakenly played in reverse in all home video releases of episodes before (and probably all TV versions too, which had this scene), now is in right seqence. 2. 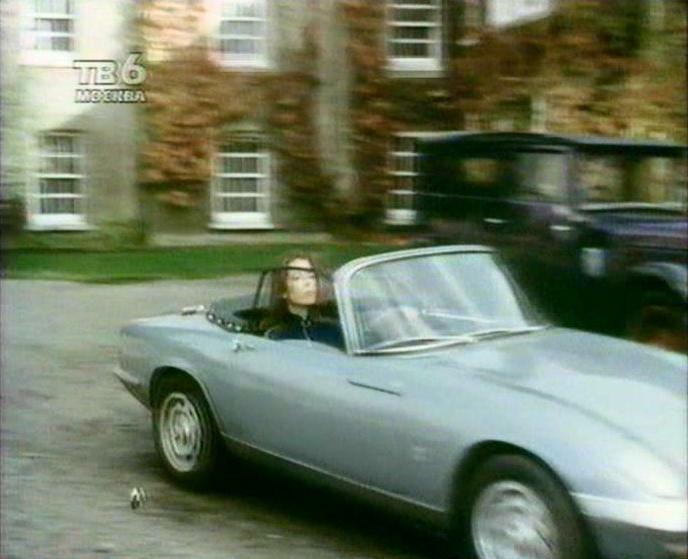 Version of episode shown on Russian TV (this is abridged version about 4 minutes, including the lack of insert "Mrs, Peel, we're needed" - the same print was transmitted in some other countries, including France) contains a mistake in editing. Very likely some of you have this abridged version recorded from a TV in your country. After that the previous action follows, but from the point where Emma is already parking her car near the house. Right now I comparing of prints DVD Optimum, French DVD-kiosk, A&E and Russian from TV for the episode The Hidden Tiger. On moment I discovered one difference. 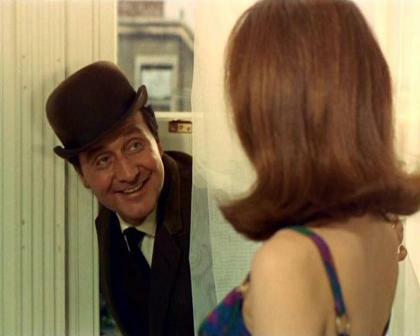 After scene "Mrs. Peel, we're needed", the door to the room of Sir David Harper opens at the moment when the screen is go to bright up. 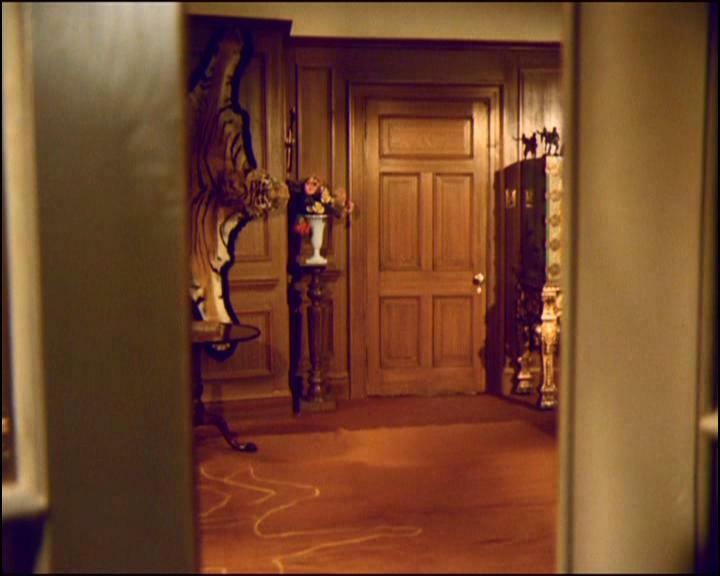 After scene "Mrs. Peel, we're needed", the door to the room of Sir David Harper opens at the moment when the screen is already fully brightened. I finishing the comparing of prints DVD Optimum, French DVD, A&E and Russian from TV for the episode The Superlative Seven. The British DVD edition (Optimum), and I think all the others that focused on this edition, is (are) different from the American, old French DVD editions and the episode version shown in Russia, at least.. There has a defect. 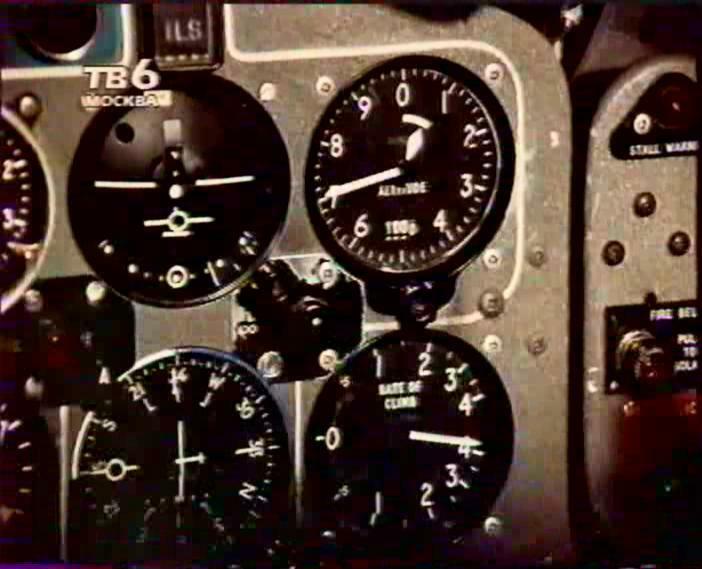 ...but then the steering wheel and the altitude barometer move in reverse direction (16:04). 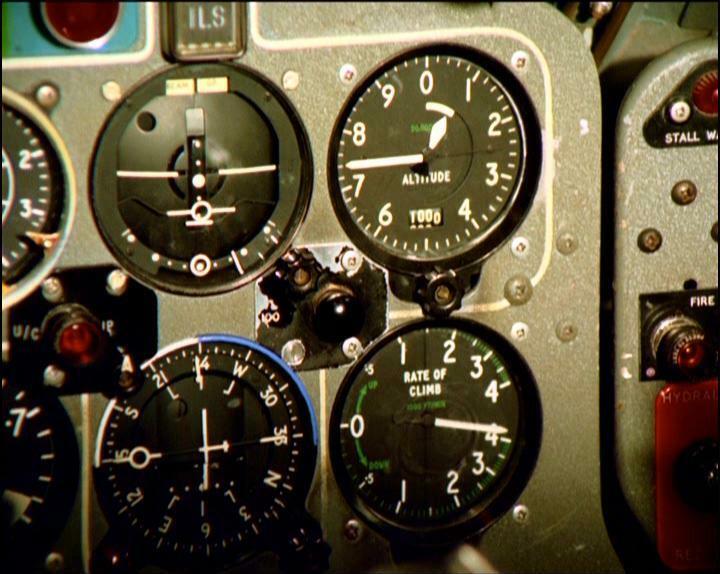 In the other mentioned video editions, the frame changes after the altitude barometer drops almost exactly to the division “seven”. 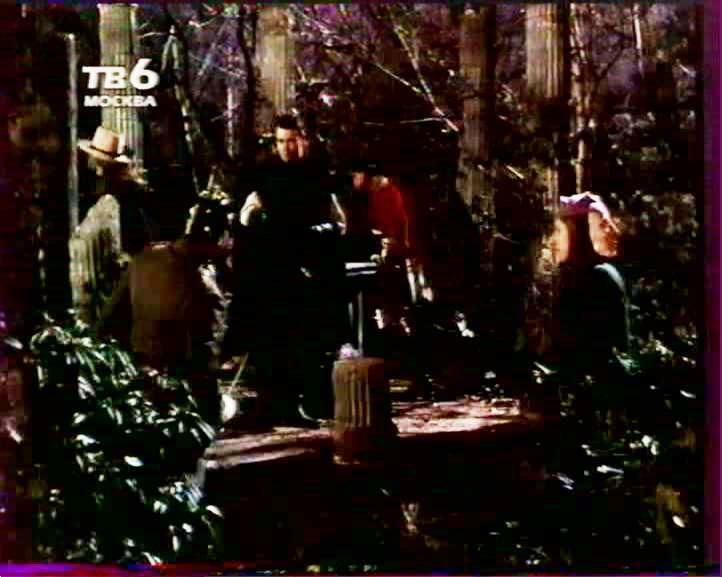 It is interesting to note that the TV version of the episode shown in Russia has a shifted screen to the right. 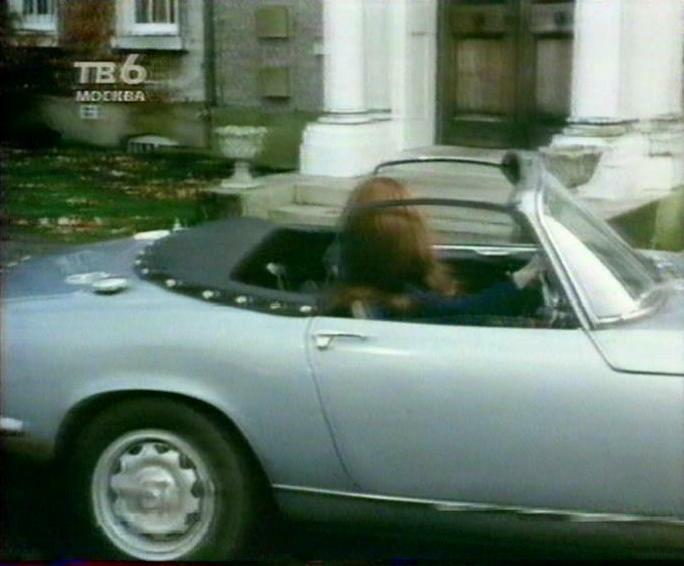 Also, version of episode shown on Russian TV (this is abridged version about 4 minutes, including the lack of insert "Mrs, Peel, we're needed" - the same print was transmitted in some other countries, including France) contains a mistake in editing, like TV version of episode The Bird Who Knew Too Much (see above). After that the previous action follows, but from the point where a group of five people walk out. I compared of prints DVD Optimum, French DVD-kiosk, A&E, British VHS Kult TV/Contender and Russian from TV for the episode Death's Door. I discovered one noticeable difference. After open titles, the screen is go to bright up when photographers enter the hall. After open titles, the screen is go to bright up when photographers going to go to the hall. 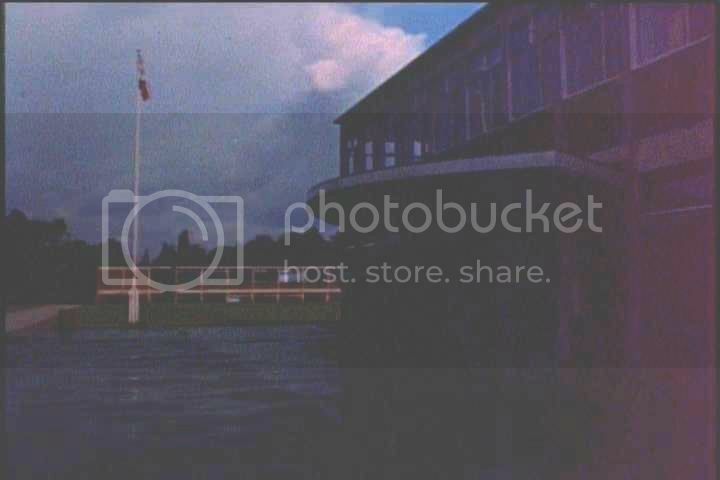 This is a good demonstration of what looks like when the episode was released for home video, problem appeared there with a late brightening of the screen - fortunately with the release of DVD Optimum, this has been fixed. I compared of prints DVD Optimum, French DVD-kiosk, A&E and Russian from TV for the episode Return of the Cybernauts. Surprise, I discovered that on the British DVD Optimum there are two cuts. The first cut was mentioned many years ago in various forums, blogs, etc, that is following . 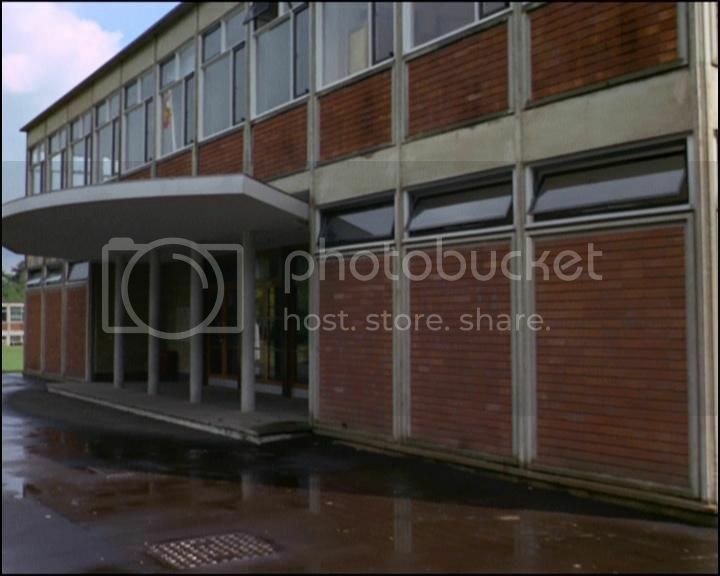 : in the British DVD edition by Optimum are cut out some seconds (three and a half seconds) of the beginning of the footage (this footage starts on 07:44, time by DVD Optimum), where the camera smoothly moves along the building, from where Dr. Neville comes out. This footage is cut a little less and begins with screen lightening (I'm sure this print is presented on some other European video editions too). 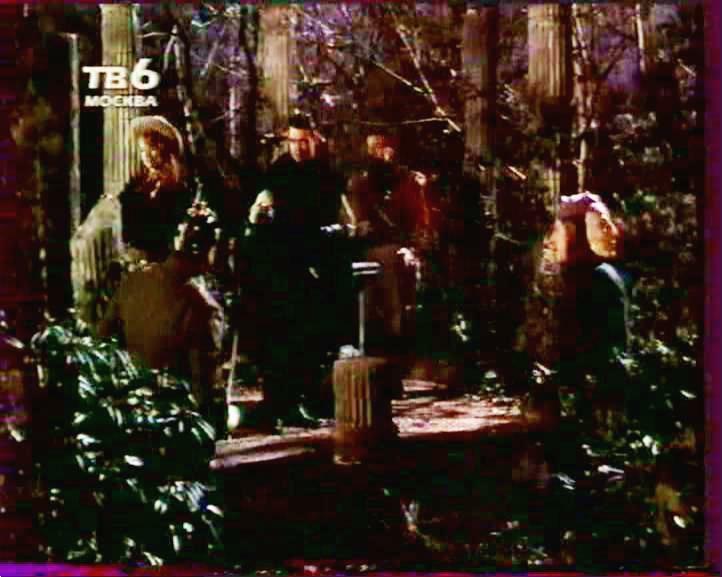 The American video editions, all or some Blu Rays editions, and the episode version shown on Russian television presents the full footage of this scene. Now, we go to Second cut!!! 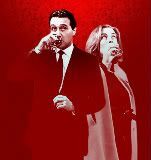 Footage starts on 26:03, time by DVD Optimum. 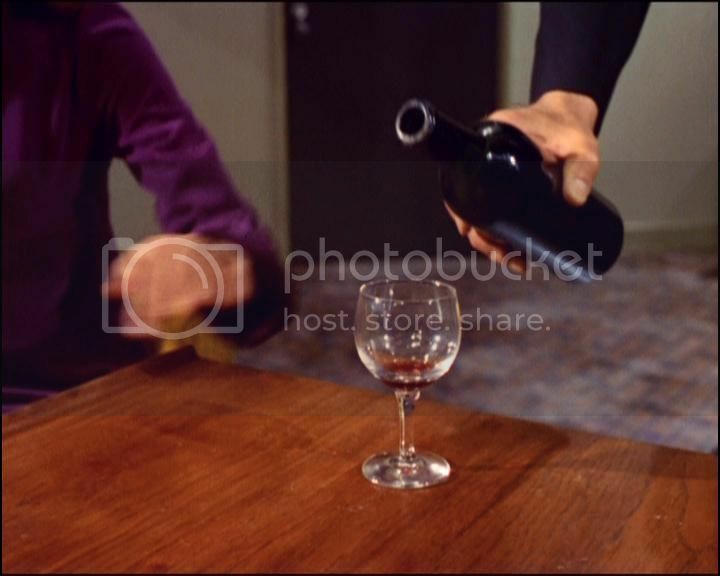 In the British DVD edition by Optimum are cut out one and a half second of a footage, where Paul brings the bottle to the glass on the table. As a result, if you want to have a full episode Return of the Cybernauts in your collection, then look for American prints , because, alas, currently I can only confirm that exactly these prints are complete. Is there any British version of the Avengers on DVD with English subtitles ?